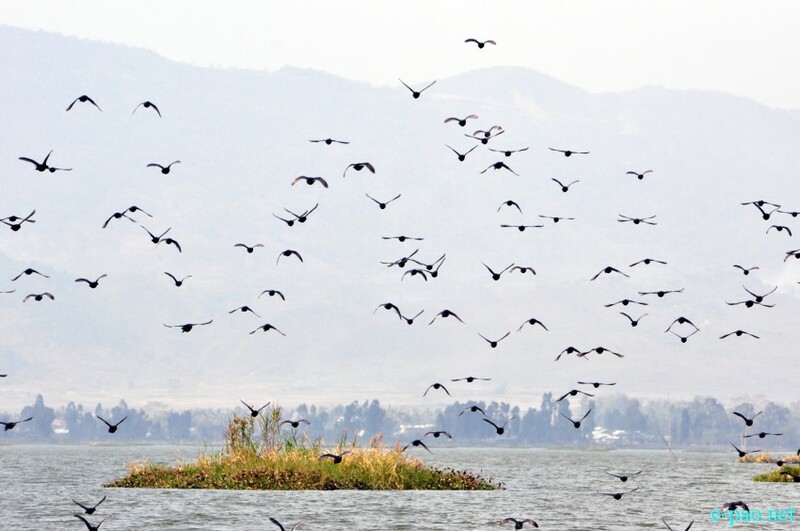 The number of migratory birds in and around the famed Loktak Lake in Manipur has decreased considerably this year. Migratory birds usually come to the State every year during October and stay till early March with December and January being the peak season. These migratory birds are mainly of the duck family. They come looking for suitable environment at this area from Tibet, Siberia, China and Europe. As many as 60 species of birds have been recorded so far with the most common ones are Whistling Teal (Tingri), Mandarin Ducks, Shelduck, Ibis and Grey Leg Geese. Conservationists viewed the number of migratory birds have gradually decreased over the last few years because of human settlement and increased economic activities in the region. The nightlife of Loktak Lake with fishermen fishing with LED lights is also a main deterrent to these winged visitors. The high water level of the Loktak Lake this year which is caused by three floods and Ithai barrage has also been attributed as one of the causes for the population of migratory birds counting less. Experts are of the view these birds like shallow waters and as this year’s water is not shallow, many of them are giving the Loktak Lake a miss. Ithai barrage also block the food essential to these birds from the source, the Irrawaddy River. So without food, there cannot be a habitat for any living being. The cycle of migratory birds is important for human beings and is actually a complex eco-system. If they stopped coming, there can be a major change in the environment system. The birds need fish and so do human with the birds, as they usually come and help in harvest. The Manipur Wildlife Conservation department is also mulling to convert the lake into a conservation site in the form of community reserves.